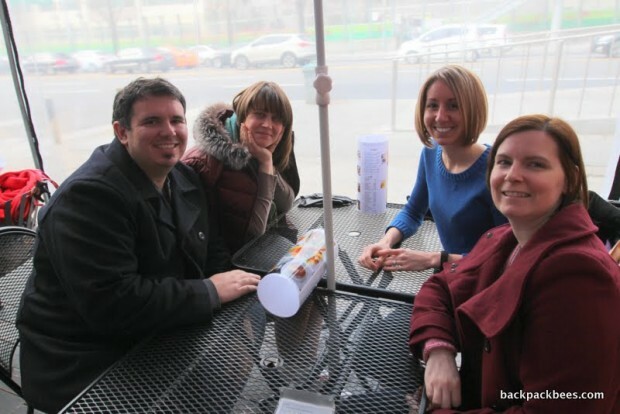 Today I joined our friends for brunch at The Bakers Table in Seoul. As I sat there enjoying the Farmer plate, (sunny side up of course), it hit me like a ton of bricks that this was yet another couple of wonderful friends that we’d say our see you laters to (never goodbyes). Yes, in the early morning (SUPER EARLY!) this couple would be off to starting a new chapter, soon with a beautiful bundle of joy, in Malaysia together. We were grateful to have the opportunity to spend some time with them and to open our home up to them on their final nights in Korea. You think after all of these years abroad it would get easier to see our friends off, but it isn’t. Every time we arrive at this point I always sit and wonder why certain people enter into our lives when they do. We all start off strangers, but end up meaning the world to one another, with this link and strong bond. We know we will see you guys again very soon and cannot wait to welcome this beautiful baby into the world with you as well! Cheers!